SustainAbility Senior Vice President Jeff Erikson's blog on why the social entrepreneurs came out on top is available at GreenBiz.com. 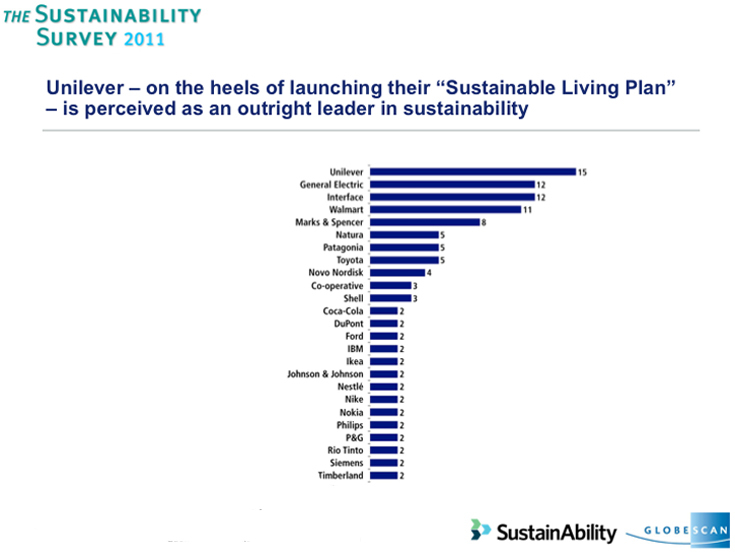 The findings of the latest SustainAbility Survey are available at www.globescan.com and at www.sustainability.com/library/survey-on-sustainability-leadership. Top image courtesy of Unilever.com. Inset images courtesy of SustainAbility and GlobeScan.